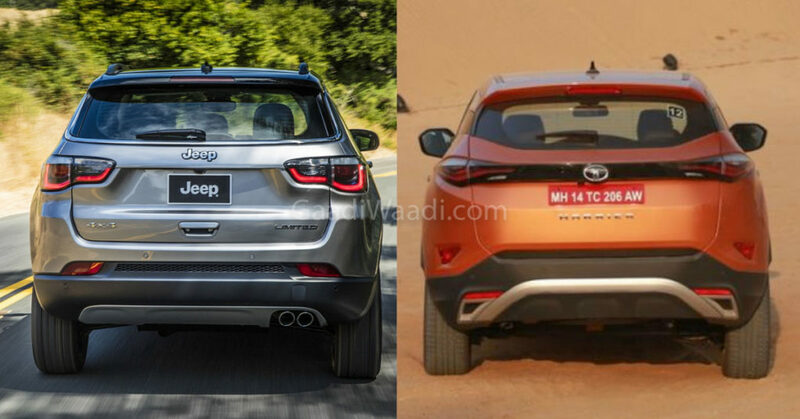 Tata Harrier beats Jeep Compass for the first time in February as the Indian manufacturer sold 1,449 units of Harrier compared to 1,304 units of Compass. The much-awaited Harrier was launched on January 23rd and the company sold more than 400 units in its first month. 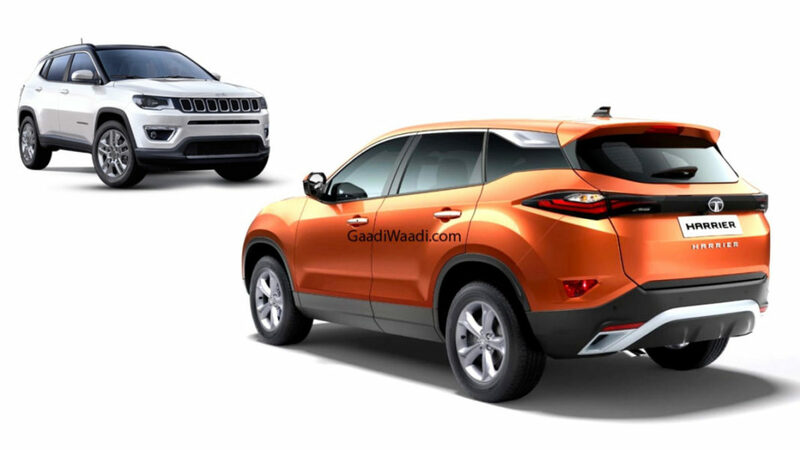 The initial response for the SUV has been excellent and some variants have a waiting period of over 6 months. Just like Harrier, the Compass was selling really well initially but in recent times sales have dropped because of increasing competition. The Year-On-Year growth is negative 32 per cent but the Compass has posted 3 per cent Month-On-Month growth in February. The company is offering lots of discounts to improve sales. 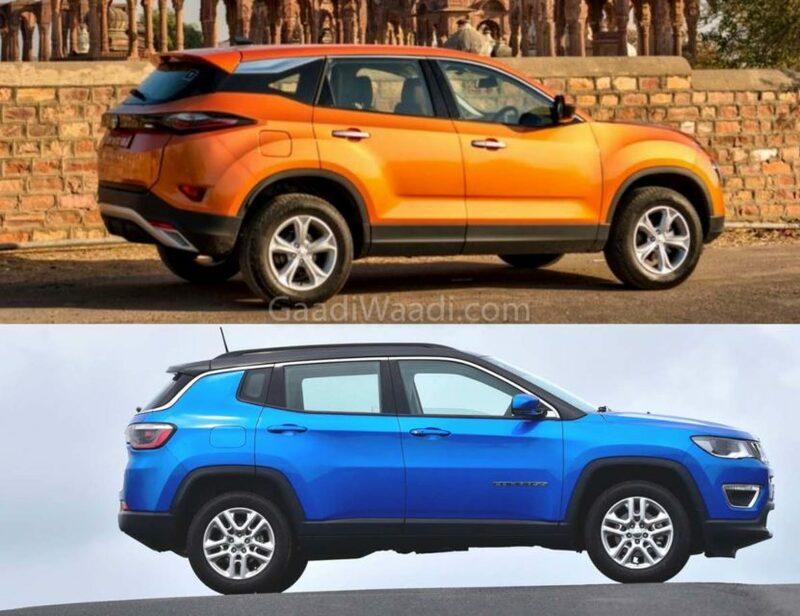 Jeep is planning to introduce the much-awaited Trailhawk variant of Compass along with diesel automatic variant soon as most of the people in this price segment prefer auto gearbox as it is more convenient over the manual. The company had recently updated the Compass variant lineup as the petrol model is now available in Sport, Longitude (O), Limited and Limited Plus. When compared to Harrier, the Compass comes with a petrol engine and four-wheel drive system. Tata Motors is expected to introduce the diesel automatic model of Harrier later this year and it will come with a 6-speed automatic gearbox sourced from Hyundai. The Harrier is based on the new OMEGA platform derived the D8 platform of Land Rover Discovery Sport. The Harrier also debuted the new Impact 2.0 design theme of Tata Motors and it is the production version of H5X concept showcased at the 2018 Auto Expo. The front gets split headlamps set up with LED DRLs on top and projector headlamps positioned below it. The SUV comes with 16-inch or 17-inch alloy wheels and LED tail lamps to continue the premium feel. The interior gets a new design as the Harrier comes with a new three-spoke multi-function steering wheel and a new 8.8-inch touch screen infotainment system with Apple CarPlay and Android Auto. The instrument cluster comes with a 7-inch TFT screen and the quality of materials used is top-notch. Both Harrier and Compass are powered by same 2.0 L diesel engine but the latter gets the powerful version as this engine produces 170 PS in Compass and comparatively 140 PS on Harrier, while the torque output is same at 350 Nm. This engine is mated to 6-speed manual gearbox as standard and the 1.4 L turbocharged petrol engine on Compass puts out 160 PS and 250 Nm, mated to 6-speed manual or 7-speed auto.